The importance of branding is becoming more and more prominent in our online world and community. Every company and business professional is expected to have some type of logo, symbol or branding. 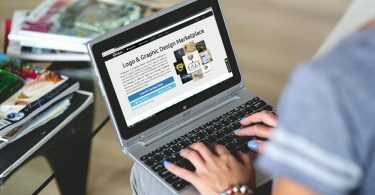 There are several websites that provide resources such as templates for creating logos, but there is a lot more to creating your logo then simply using a ready made template. Here are 8 best practices you should implement while creating your logo design. A clean and uncluttered logo activates optimistic people reactions. Simple says certainty and stability. Your logo should appear as perfect on huge billboards as it does on business cards and social media. A potential customer should be able to catch on to the concept of your business logo design within three seconds of first look. It’s tough to support current messaging with a dated or irrelevant logo. Need help designing a professional logo? The world’s best logos imprint on the brain and trigger action. A well-designed logo is recognizable after a certain introductory period without the company name. Well-designed logos are recognizable — and stay just as strong — when printed in black and white. Enlisting the help of a professional design team ensures you avoid many common mistakes that amateurs often make. How does a great logo benefit your business?